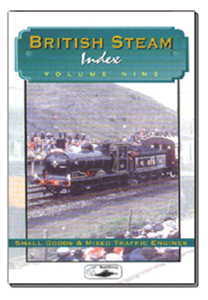 Volume 9 features a wide variety of locomotive types that fit into the small goods and mixed traffic profile. From Wainwright's classic South Eastern and Chatham C Class 0-6-0 to Bulleid's famous Q Class, this programme features a great selection of survivors from the age of steam. Also making a special appearance is Neilson's 0-6-0 Maude of 1891 vintage! These and others all preserving those sylvan scenes of yesteryear.